Oro Valley Home Sales April 2018 report for Single Family Residences (SFR). Click the link below to view the December’s Single Family Residences sales activity. Oro Valley offers a great lifestyle with community parks, an aquatic center, golf course and endless activities. Take a quick video tour of Oro Valley. Our Oro Valley home sales April 2018 video presents the latest home sales activity for the Town of Oro Valley, AZ. Play Kim’s Oro Valley Home Sales April 2018 Video Update – NOW! For an authentic old west experience, Southern Arizona is unbeatable. The Sonora Desert covers this region with spectacular desert habitat. The giant saguaro is an icon of the American Southwest. Cactus forests blend with grasslands, riparian streams and mountain ranges. Oro Valley has struck a balance between population growth and environmental preservation. Oro Valley offers private country clubs, golf courses, hotels, and resorts. It is one of the Southwest’s most affluent communities. 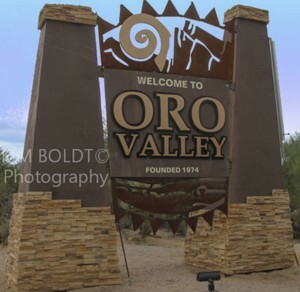 Oro Valley, founded in 1974. has grown to over 45,000 residents since that date. Oro Valley’s renowned weather provides sunshine and sunset the year around. The ideal climate brings visitors, snowbirds and full year residents to Oro Valley. In 2015, Oro Valley placed on 2 top ten lists for best places to live. The Oro Valley home sales April 2018 is one of our nine monthly reports. Our 1 minute home sales updates present the latest TARMLS trends in popular areas of Tucson.